Created in 2006, Madaktari Africa, a 501(c) 3 non-profit organization, began its mission to improve health care through the training and education of local medical personnel. 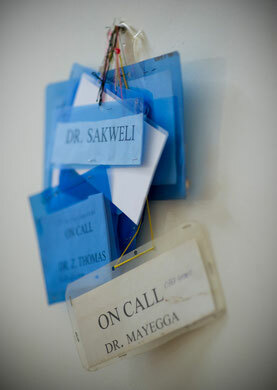 Our mission is to improve a country's medical autonomy by improving the availability and quality of local health care. For Madaktari participants, the primary goal is to help both patients and local health care staff. To achieve our goal, we use a “Train-Forward” model, which requires that those we train, become teachers themselves. In practical terms this means that we train local medical staff in both medical interventions and how to effectively teach their newly acquired skills to others. As more doctors, nurses, techs and other relevant personnel are trained, gaining more independence and becoming teachers themselves, a system of knowledge transfer begins to grow exponentially, creating a sustainable cycle of medical personnel growth that we believe can be a determining factor in ending a country's dependency on foreign assistance. Madaktari began implementing the “Train Forward” model by training an assistant medical officer in Haydom, Tanzania to become a neurosurgeon. Since then, Madaktari has become the NGO for cardiology training in sub-Saharan Africa.